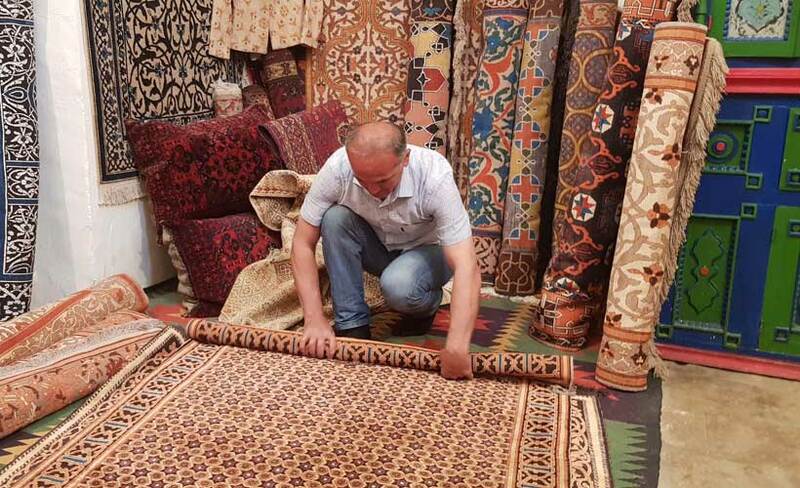 Want to buy a carpet? I liked to think I was well travelled but my recent visit to Uzbekistan made me realise that skiing four continents (even including sliding down a couple of runs in Kashmir in the 70s!) had left me a little culturally underdone. We always deliberately followed the path less travelled but exploring The Stans made our previous efforts seem paltry. In preparation for my travels, I read Christopher Aslan Alexander’s book, A Carpet Ride to Khiva, which certainly made it sound exotic. And while I learnt much about the nation’s if not world’s history and impressive local resurrection of fading ancient crafts, I was still unprepared for the sensory assault that awaited. 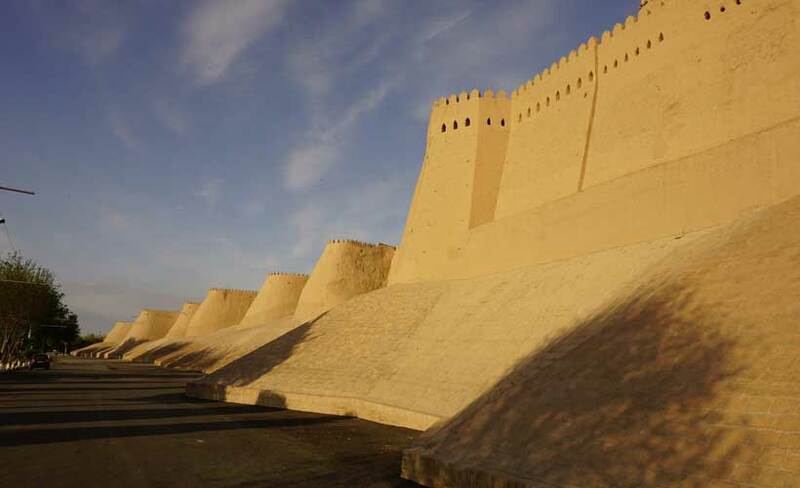 Khiva has to be seen to be believed. Its towering wave of city walls; the striking gold, turquoise and jade green palette; the stunning Islamic architecture with its minarets, domes, madrasa and harems; its beckoning laneways; its enthusiastic merchants; its fragrant and steaming street tandoors. Your head literally spins as you enter the city gates. I felt for our wonderful guide, Bek – so distracted were we all on arrival, it was like herding cats. 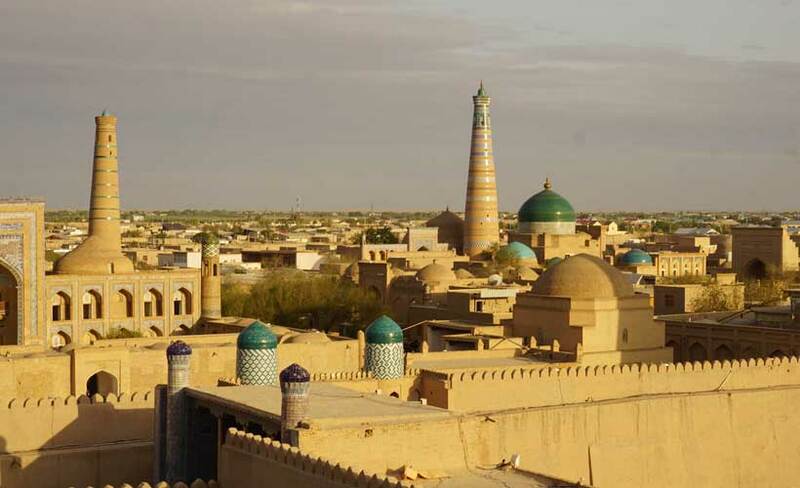 But with his usual calm, Bek drew us in with mesmerising stories of Khiva’s ancient history dating back to the 5th or 4th centuries BC and its place as an important trading post and caravan destination on the Silk Road. It was a privilege and a joy to have a whole day at leisure in this gem of a town. 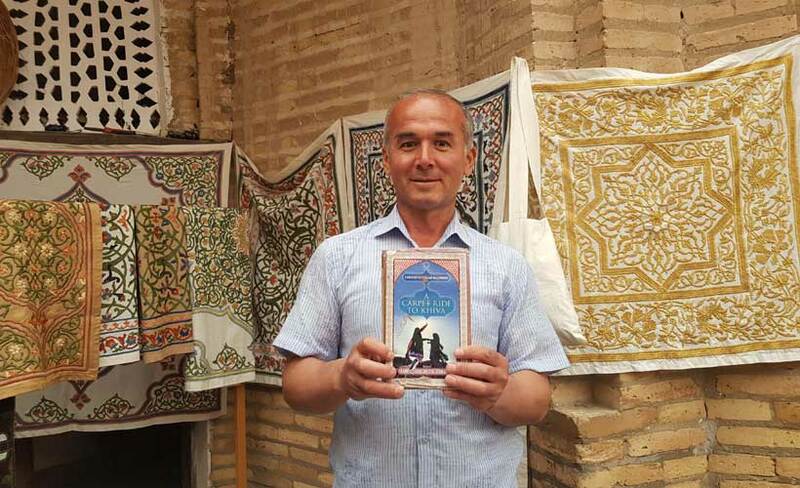 We did indeed visit The Khiva Silk Carpet Workshop to which Aslan contributed so much. It was even more exotic than I had let myself imagine and knowing at least something of the mammoth effort involved in bringing it to life made me all the more appreciative. A personal highlight was climbing Khiva’s parapet at sunset – the memory of the golden display that lay below will remain with me forever. 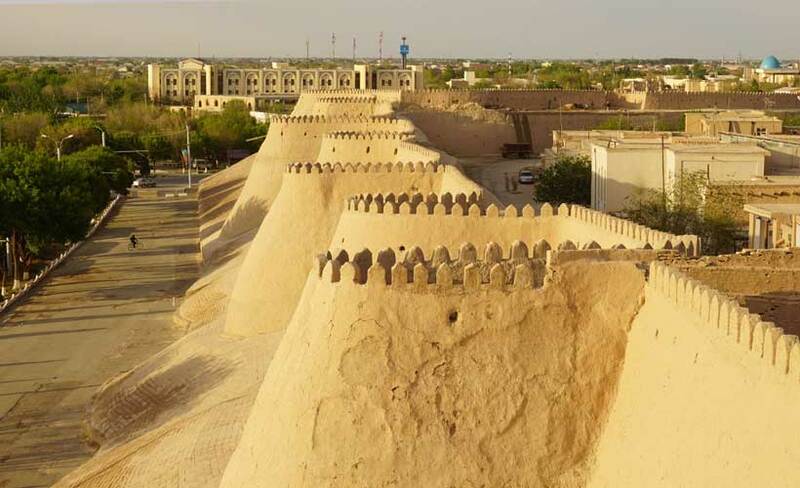 According to legend, Khiva was found by a son of Noah but it is equally easy to believe Khiva is where Aladdin and Jasmine’s magic carpet ride led them. Utterly enchanting. 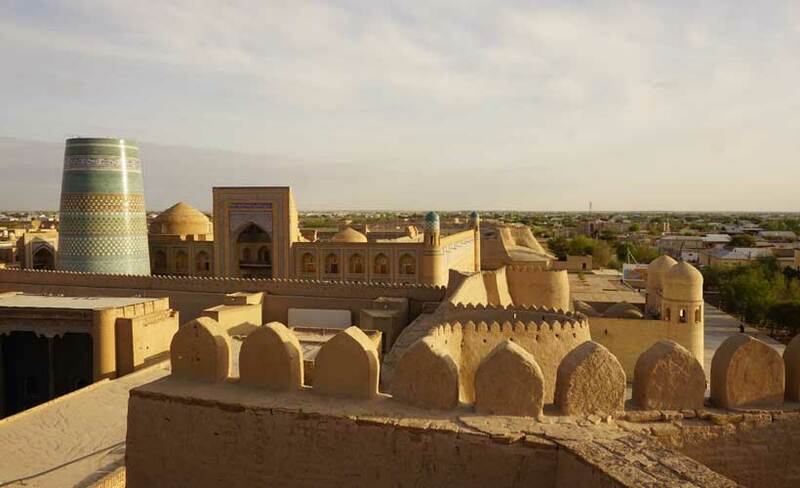 If you would like to experience Khiva and other Silk Road destinations, join our Stans small group tour – click here for details.